For nearly two decades, Trillion Communications has been a premier provider of supply chain management and logistics services for the global telecommunications industry. With customers ranging in size from small independents to Fortune 500 companies, we manage more than 8 million transactions per year. A Tier One Supplier, we take pride in our internal and external quality management systems. Our TL9000 certification demonstrates our commitment to providing world class service as defined by a recognized independent third party. Our continued growth is a direct result of the value we place in our trusted partners. We invest in relationships with strategic vendors to deliver comprehensive communications solutions to our customers. In short, we get the job done. Our long-standing relationships with the industry’s leading original equipment manufacturers (OEMs) enhance their ability to provide the right product at the right time for the right price. We’re proud to work with partners who are highly regarded as Total Quality Enterprises, meet ISO/TL9000 certification requirements, and provide the highest level of service to our clients. Incorporated in August 2001 with a singular goal of providing Vendor Managed Inventory services to the telecommunications industry, Trillion Communications started with one customer (Bellsouth), two key OEM partners, and a single, 15,000-square foot warehouse. 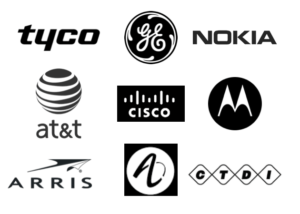 Today, Trillion provides our VMI model to both small customers and Fortune 500 companies, and offers a variety of products and services from logistics to testing and repair services for telecommunications equipment. Headquartered in Bessemer, Alabama, we now have strategic locations across the country, including warehouses in Bessemer, South Bend, Indiana, and Phoenix, Arizona to maximize our accessibility to customers across regions and time zones.